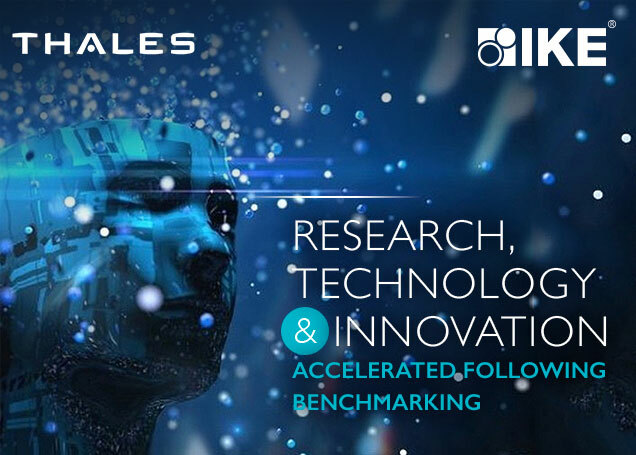 Just under 3 years ago, Thales in the UK decided to benchmark its innovation capability to strengthen its business model through increasing the value generated by its Research, Technology and Innovation (RTI). Using the IKE Institute’s Investor in Innovations® Standard, Thales has made significant strides in visibly demonstrating real impact on their partners and stakeholders through innovation. said: David Clarke, Technical Director – Railway Industries Association. Elizabeth Harris, Platform Systems Division Programmes Lead, DSTL. Year-on-year, the IKE Institute has monitored the progress of Thales RTI corporate function against the co-developed Action Plan. “we live in a world where disruption is the norm. Innovation is the only strategic instrument that positively impacts top line and bottom line revenue and keeps customers excited and hungry for more offerings. What we have seen at Thales RTI is active leadership by their vice president supported by a great cadre of Innovation Champions that act as a catalyst for innovation enablement thus creating the sought after ‘X-factor’ in the business”. 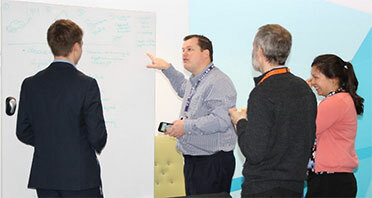 The Investor in Innovations standard enabled practices to be better understood and shared across Thales UK, thus improving their overall business performance. 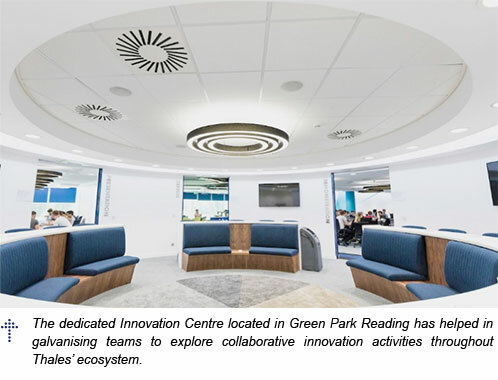 It provided an action plan, supported and guided by innovation experts that resulted in improving the innovation maturity levels and achieved better connectivity with stakeholders through co-creation. “The IKE Institute’s longitudinal assessment of Thales has meant that innovation continues to spread and remains in vogue. It also challenged our assumptions and to come up with fresh thinking. We continue to learn from the process”. Someone said your business is as good as your innovation talent! This is certainly proven to be true as conventional businesses embrace digitalisation to transform their ecosystems. The fight for talent will continue to intensify over the coming years and sector demarcation lines will also continue to fuse. 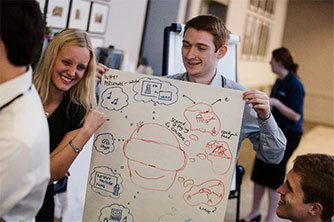 Thales UK recognised that innovation has to be treated as a discipline. Therefore, it adopted the IKE Assured standard to ensure that all of its graduates on the Graduate Development Programme are equipped with the right innovation skills, competencies and tools to enable them to have the right mindset to create the cultural conditions for innovation to flourish. IKE Assured is a framework that supports an organisation to prepare its next generation of innovators and embed the right skills, competencies and behaviours that help to drive an organisation’s strategic imperatives. “Devising novel uses for everyday products that we use in the same way day in day out has enabled me to consider how to fulfil customer need using existing products rather than creating a bespoke design. This has helped me to better understand Thales’s increasing tendency towards using COTS products, specifically in my team - the product approach being adopted for TopSky ATC”. said: Katherine Reed (Thales UtK Bids & Project Management Graduate). “A key differentiator for any business is in the capability readiness of its workforce to innovate and create new technologies, processes and engagement methods. 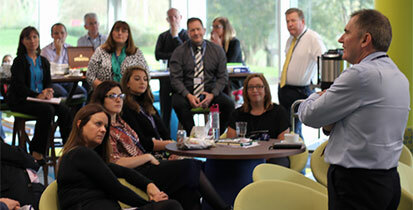 Thales has truly demonstrated innovation vibrancy in all its graduate recruits including apprentices. A testimony that signifies Thales’ intention to embrace innovation not only from the leadership level but equally importantly through its grassroots. The graduates’ innovation competency is world-class and the Institute is very pleased to see the fantastic progress that has been achieved over the past few years”.